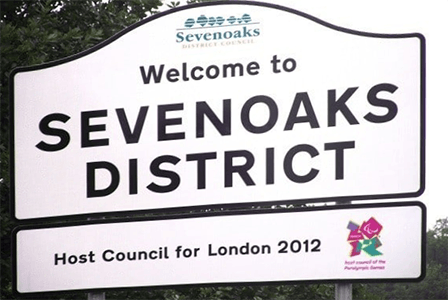 Sevenoaks is easily accessible from the M25, M20 and M2, we have two train stations in easy reach of the office with frequent trains from London (30mins). We are able to offer better pricing when you visit our Sevenoaks or Maidstone office. We charge £399 – all inclusive – and can take bookings most times, to suit you including evenings and weekends. Our professionally trained examiners are members of the American Polygraph Association (APA), the National Polygraph Association (NPA) and the British and European Polygraph Association (BEPA). We have male and female examiners available. Call us and speak to an examiner, not an agency! Book directly with the UKs #1. We are a valuable aid in conducting an investigation. Polygraph testing techniques has allowed investigators to either prove innocence or guilt of a suspect or witnesses and is widely used in American law enforcement. The Polygraph testing techniques saves investigator’s time and investigation costs by narrowing the focus of inquiry and providing a way to find the truth. Chief examiner Jason Hubble has worked some very prolific cases and been featured in many UK newspapers, he is widely recognised worldwide as a rising star in the field of polygraph, our other examiners including a female examiner, have been chosen carefully for their expertise. A world class small team of examiners, don’t settle for second best, insist on the best. 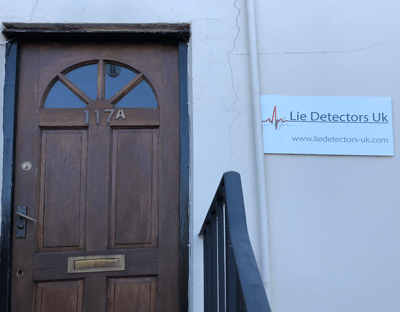 We are the no1 Lie Detector Company in UK. We travel to you, or you to our offices. Get in touch and talk with an examiner today, call, email or text/whatsapp. 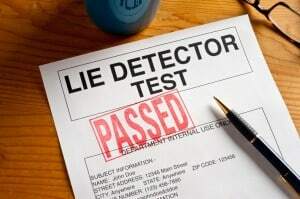 What Can A Lie Detectors Be Used For? The outcome of a lie-detection examination could have life-altering effects. How much experience do they have and how many years have they been a polygraph examiner ? Do they offer fixed prices? Anymore than £499 or less than £399 then there is something wrong. Do they have their own offices you can attend? Do they include a written report of the results? Can they accommodate my schedule & location, evenings and weekends if necessary? Can you explain the cost differences I have seen? Are the tests quality controlled by another examiner as standard? Do you speak to the examiner prior the meeting, make sure its not an agency you have called who farm the work out? Do they have a female examiner if I want? Can they provide all qualification certificates?